Can you imagine how will your life be without having access to email for a day? No doubt, email is becoming one of the basic necessities: we start off our day by checking emails, reviewing schedules, looking for meeting venues and responding to requests via Outlook. All these features in Outlook are made possible with Microsoft Exchange, which can improve productivity and efficiency in the working environment. Exchange is a messaging solution from Microsoft that includes a mail server, email client and collaborative applications as optional add-ons, just like add-ons to your web browsers. Exchange is basically a computer or server that stores your company’s email, calendars, address books and files centrally, so they are available 24/7 and can be accessed and shared among your team or colleagues. 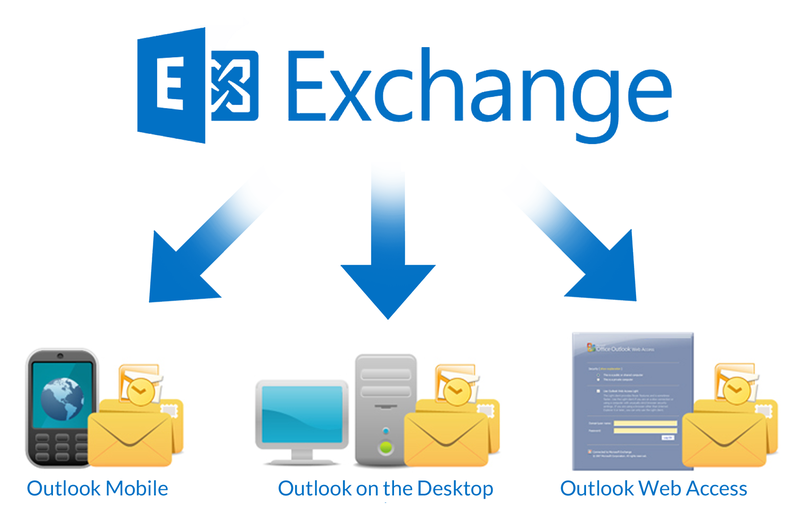 Exchange server is often used with Microsoft Outlook as an email client to take advantage of Outlook’s collaborative features, such as the ability to share calendars and contact lists to stay connected and in sync. What’s more, you can easily access Outlook from your computer, Outlook Web App and even your smart phone! Here in Titansoft, we adopted Exchange because of the security and privacy it offers. Titansoft’s Exchange is deployed and hosted on premise at the Titansoft Taiwan office branch. We want to fully control this system as it is the main messaging and communication medium and a critical service of the company where countless information is continuously sent and received. From email alerts to clients’ emails, we aim to keep it secure and private to the company. If you happened to lose your smart phone which has Exchange configured, we can use the remote wipe function to delete the entire contents of the phone to make sure no sensitive and confidential information will be leaked out to any third-party. Another reason to adopt Exchange is that it has Windows Active Directory integrated. This means you do not need to have separate email accounts since it can be integrated with your existing domain account. Therefore, you will have the same password and username to access your email. Besides that, Exchange allows IT administrators to create meeting rooms as objects in Exchange to simplify the meeting room booking process so that everyone can schedule meetings effortlessly. Think you are using Outlook the right way? Have a look at these tips! Have only one person at a time actively manage a calendar. Send meeting requests to individuals instead of distribution groups or mailing lists. Respond to meeting requests from your inbox, not from the calendar. Respond again if you used multiple computers and the meeting request is still in your inbox. Never delete meeting requests from your inbox. Don’t manage your calendar from your mobile device. Don’t drag and drop recurring meetings. Don’t forward meetings to other attendees. Instead, ask the organiser to add new attendees to the meeting so they’ll be kept up to date. Do you often overlook tasks or requests assigned via email from your colleagues or supervisor? Or do you forget to follow-up on something until the day itself? Easy! Using the tasks function in Outlook, you can identify any email which has an associated action and convert it to a task in your To-Do-List. You can use various parameters, including status, priority, percentage completion, and even setting reminders to follow-up on that task. This entry was posted in Happenings at Titansoft and tagged Microsoft Exchange, Office Culture, User Experience, value added service on October 8, 2015 by E.T. Girl.